Ahoy! It’s a boy—a boy baby shower that is! 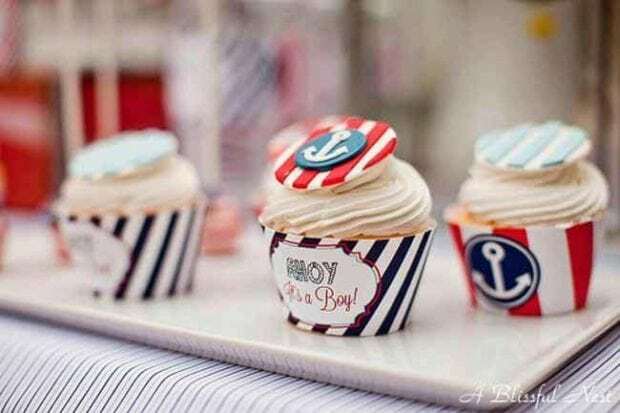 Our site is full of nautical boy birthday party ideas, but today we want to share a darling nautical themed boy baby shower with you! The ideas are adaptable to any kind of celebration, making it a perfect party to check out for great party inspiration! While the photos featured are not of a real shower, Rebecca of A Blissful Nest styled this photo shoot to provide both practical and on-trend ideas that can easily be incorporated in a real baby shower. 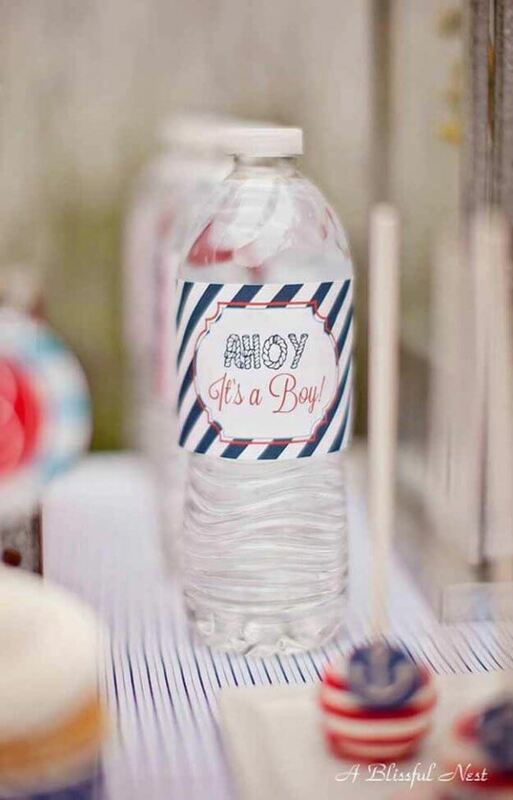 The nautical themed boy baby shower seen here was designed as a launch to her new nautical “It’s a Boy” printable collection. Preppy printable elements are used throughout the shower styling and feature nautical ropes, anchors, and sweet sea-faring sentiments. Combined with a fabulously curated collection of vintage party decorations and nautical props, the stage was set for a seriously cute boy’s baby shower. Don’t miss the “Little Sailor Sweets” dessert table that provided guests with options like cake pops, cupcakes, donuts, and more! 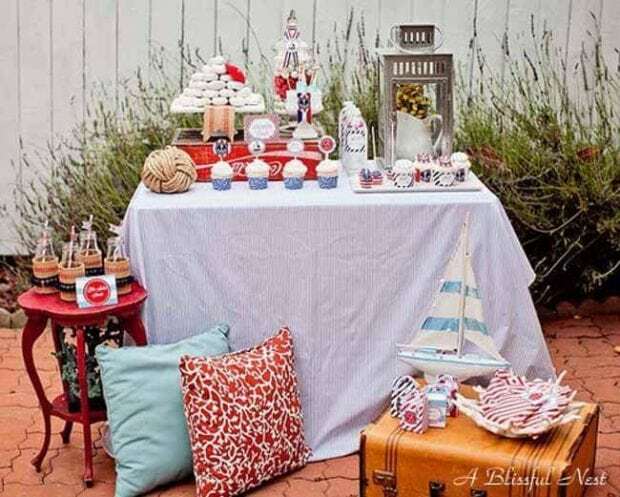 Set sail with this awesome Nautical Themed Birthday. 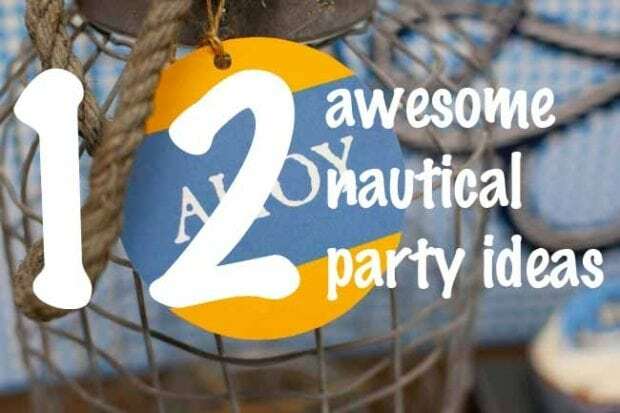 Check out this Nautical Inspired Birthday Party Idea. If you’re wondering how to turn your backyard space into a sensational baby shower theme with a nod to all things nautical, Rebecca showed us how it’s done. 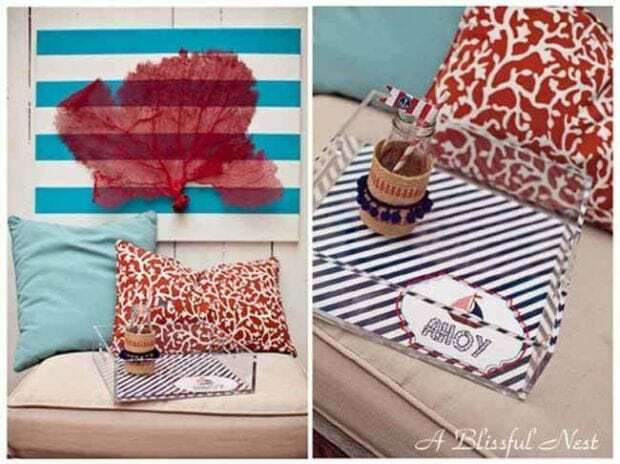 First, she chose classic nautical colors—red, white, and blue—to incorporate into the overall aesthetics. Next, she used a mix of pinstripes and wide stripes to bring in that Hamptons feel. You’ll notice the tablecloth is covered in pinstripes while the sailboat and much of the dessert packaging features wide-stripes. Pillows with coral print were added to create that beachy vibe and some modern flair. With the color palette well established, Rebecca curated a collection of nautical props such as lanterns, knots, a sailboat, and coral dish to accent the party space. The well-chosen items pair nicely with worn vintage pieces from Rebecca’s personal inventory. She was able to expand the shower offerings by using a vintage red garden table and old suitcase to display beverages and party favors. While separate displays, I love how Rebecca styled these items in close proximity to the central display table, effectively anchoring them together. Ahoy dessert lovers! To tie in the baby shower refreshments with the nautical theme, Rebecca created a “Little Sailor Sweets” dessert table. Rebecca knows it’s important to include a variety of themed treats to ensure everyone’s sweet tooth is satisfied. 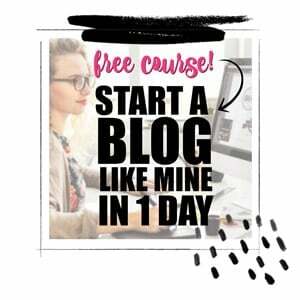 You’ll love her simple ideas that can be homemade or store bought. For example, in lieu of a baby shower cake, she created a budget-friendly and time-saving donut tower! Creatively labeled, “lifesaver donuts”, she simply stacked donuts on a cake plate, creating several tiers, and embellished the tower with ribbon and a fabric flower. Another easy sweet treat idea to add a pop of color to your table is filling a clear glass apothecary jar with layers of gumballs. Rebecca dressed up the gumball jar with striped ribbon and a printable label from her collection. Cupcakes are also a nice alternative to cake—no cutting and plating required. Whether you make the cupcakes at home or purchase them from a bakery, you can follow Rebecca’s lead and clothe them in preppy blue cupcake wrappers! You can top them with darling nautical themed fondant toppers or go an easier route with a printable topper. Rebecca featured both versions of toppers on her lemon and raspberry filled cupcakes. Rock candy has become a sweets table staple, and many like to use it to stir their party drink of choice. A cute porcelain dish was filled with rock candy for those who love it! 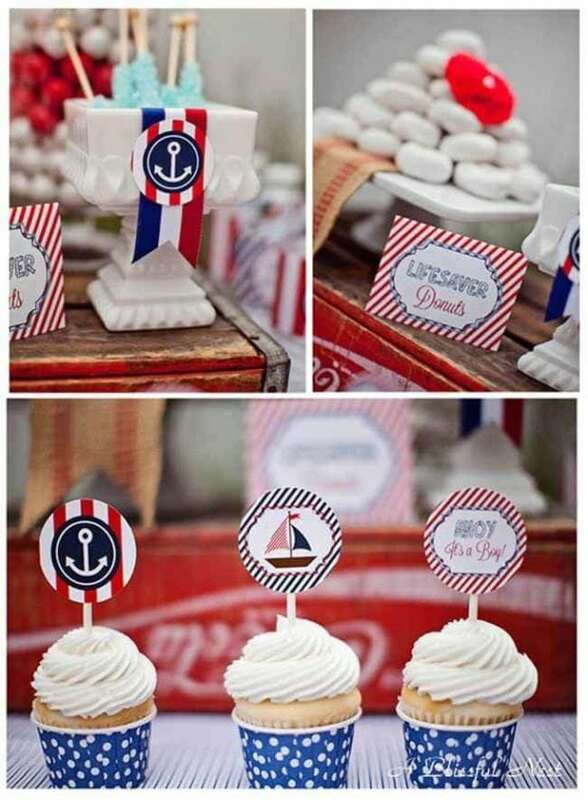 Fondant anchors topped adorable striped cake pops for the final little sailor sweet. 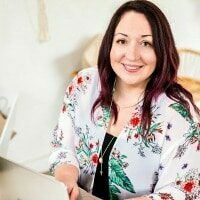 Rebecca knows the power of party printables and the easy option they are for coordinating all of the details of a party. Her printables were used to embellish everything from jars to cupcakes to party favor boxes and bags. They were even used to accent water bottles. Tape or glue makes adhering water bottle labels a cinch! What a fun and easy way to dress up your boy baby shower drinks! A great party planner always has more than enough sweets and treats on the dessert table. 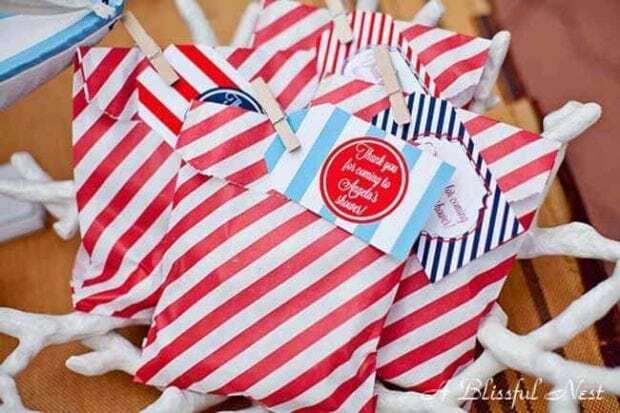 Rebecca created cute favor bags and boxes to serve as goodie bags so guests can take home leftover treats! She created her bags using striped paper party bags that she held closed with mini clothes pins and a sweet favor tag. The favor boxes were a specialty item that she embellished with one of her printable party logos. A final detail from this nautical themed boy baby shower not to be missed are the vintage style milk bottles! 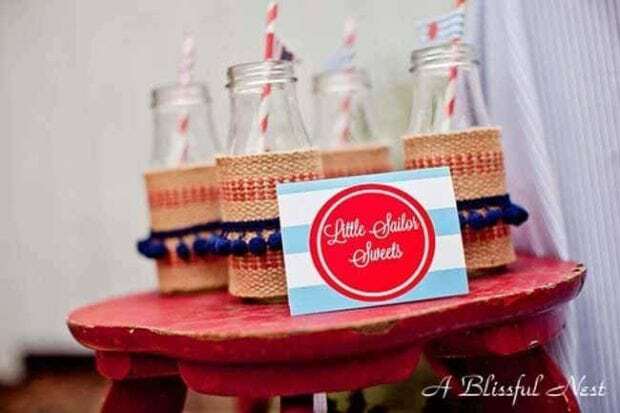 Striped red and white straws added a cute and practical touch and showcased cute nautical flag labels. The outsides were decked out in bands of jute and ball fringe. Don’t they look festive? 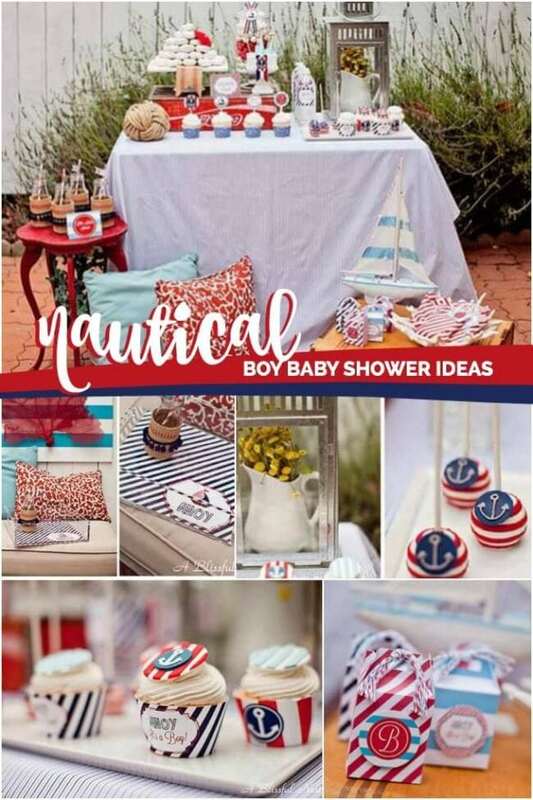 I’d say this nautical boy’s baby shower is definitely seaworthy, wouldn’t you? Ahoy! Looking for party supplies for your boy’s nautical birthday party? We think you’ll love these party supplies. 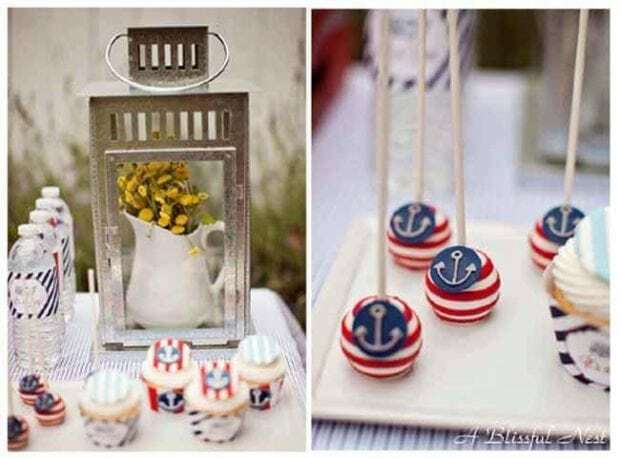 Be sure to check out more nautical baby shower ideas here.